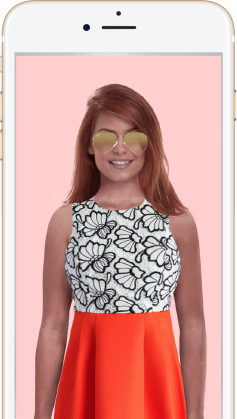 Inspire shoppers with complete outfits using AI. 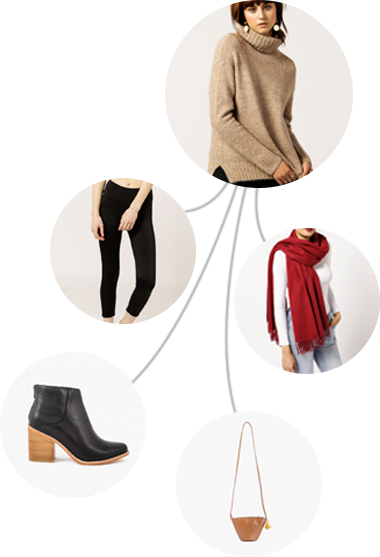 Only 13% of apparel retailers provide “Complete the Look” recommendations to shoppers. This valuable data is typically created manually & without automation. 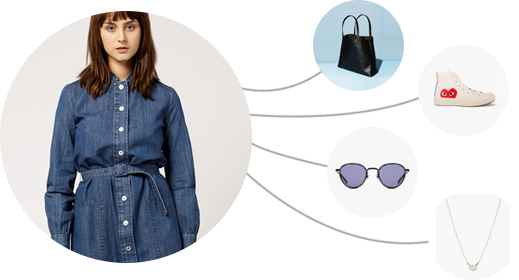 How we create fully automated & perfect Complete the Look recommendations for you. Millions of outfits created by Trendage's users. 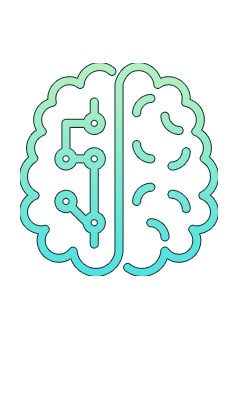 Artificial Intelligence learns subjective style correlations. 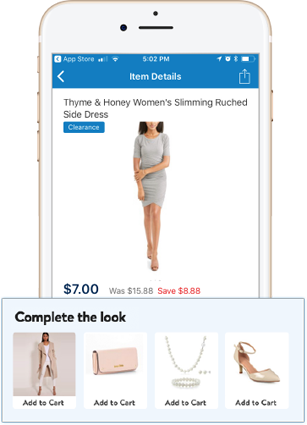 Cross-Sell data for your ecommerce apps. Industry averages for complete the look recommendations boost AOV by 4-6%. Add inspiration to your product detail pages with “how to wear it” suggestions and improve shopper confidence. Improve email marketing & order confirmation alerts with complementary product suggestions. Show complementary products in banner creatives, not similar products or a mix of random products.